Tomorrow morning when we wake up we will have crossed the threshold to dark half of the year. An inspiring time for creativity and all the the inner arts. The Equinox is a precise moment, even though many cultures and esoteric groups celebrate it as a day long or evening event. The Equinox occurs at the exact moment the Sun crosses the celestial equator (the imaginary line in the sky above the Earths Equator). At this precise time the hours of light and dark are equal are around the earth. The term equinox derives from the Latin words equus meaning equal and nox meaning night. 12 hours of daylight and 12 hours of night. While the September Equinox usually occurs on 22 September, it can also fall on 21 or 23 September. This difference is due to the slight inaccuracy of the Gregorian calendar and how it defines a year, and the time it takes for the earth to complete its orbit around the sun. Why should we bother with it? By celebrating the Equinox or even a simple acknowledgment, we entice more balance for whatever path we are on aligning closer to the stabilising sacred earth. It also gives us a stage/threshold of inner preparation to focus more on what's best and brightest for us in the Autumn and Winter months. 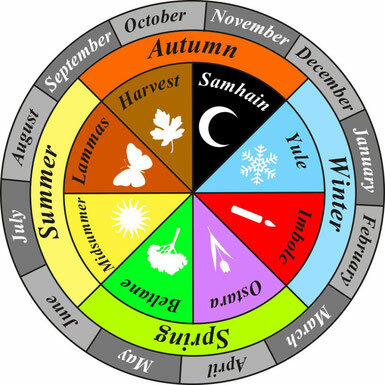 The Precise Autumn Equinox is time is tomorrow (Sunday morning), precise time CET 15:54 GMT 14:54.